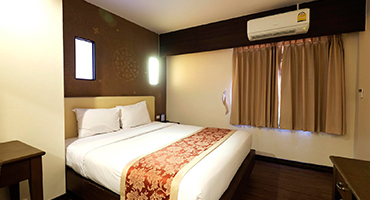 All rooms are tastefully designed and furnished, and most are provided with private balcony overlooking swimming pool. 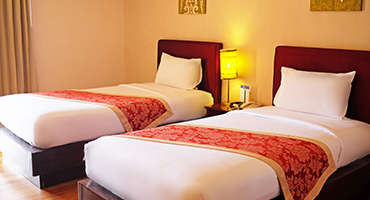 Yet, there are ample facilities to suit every need from high-tech to high-touch all day long. 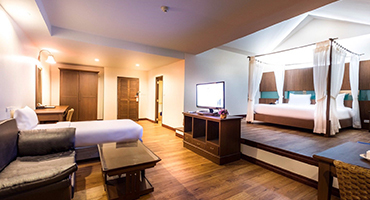 A compact size yet comfortable room that allows you to relax from your long-tiring day. 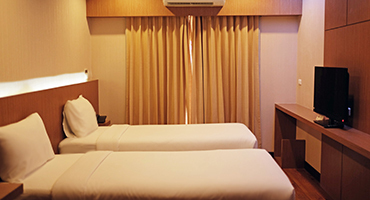 A compact-size room where you can relax from your tired day. 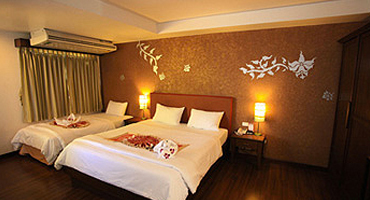 A sensational room with the sense of boutique art and partitioned section of room & dining area. There are pantry area provided to suit your need with a complete dining amenities. 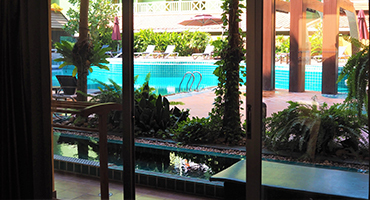 This room offers you an outdoor separated jacuzzi space which is linked to the swimming pool.